If you are in the planning stage of a great holiday or honeymoon to Kerala, I suggest you to go through the details below. This is written from my own experience in planning Kerala tours for many guests like you. This article will definitely help you in deciding every aspect of your tour. Before doing any research, finalize the number of days you can spend on your Kerala holiday. This is crucial as you can decide on places to visit as per your leave only. If you are having enough leave from office, go through different tourist spots in Kerala, and with the help of your tour organizer finalize the number of days. In both cases, freeze your arrival and departure dates. Once this is finalized, you can book your tickets to Kerala. While booking onward journey, it’s always advisable to book up to Cochin. Trivandrum is another option – book up to Trivandrum only if your first destination is Kovalam or Kanyakumari. Calicut is good only if your first destination is Wayanad. 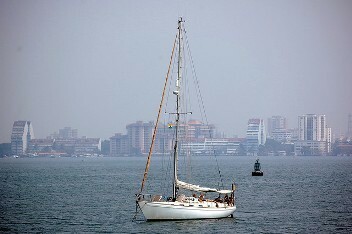 Cochin is also spelled as Kochi, and is also known as Ernakulam. While booking a bus you can make the booking to Ernakulam. While booking a train you may book to Ernakulam North or Ernakulam South as some trains stop only at one station. The station code for train booking is ERN or ERS. For flights, make the booking to Cochin or Kochi (location code is COK). By any means, try to reach Cochin as early as possible to cover maximum spots. Tourists from Coimbatore, Bangalore, Mysore, Chennai and Hyderabad can reach Kerala by train, flight or bus. From Coimbatore, bus is the best option. If you are traveling from Bangalore, you have all three options. Normally a bus takes 9 – 12 hrs to reach Cochin from Bangalore. Nowadays multi-axle Volvo buses are reaching Cochin in 9 to 10 hrs. This varies on road conditions. There is a check post at Tamil Nadu – Kerala border and very rarely, we have seen buses come late due to checking at this check post. There are lots of buses plying on Bangalore – Cochin route and this is a good option to reach Kerala from Bangalore. You may even check for sleeper buses. A train takes approximately 12 hrs from Bangalore but getting a ticket is the biggest challenge. If tickets are available, this is the best option. In any case, try to book a bus/train which reaches Cochin in the morning. If you are opting for flight, book a flight that reaches at least before noon. From Hyderabad, flight or train is the best option. Choose a bus only if nothing works out, as it takes almost 18 hours. Nowadays buses are plying from Mumbai also but use this as your last option, as it is nearly a 36 hour journey. From Mangalore you can travel by bus or train. From Mysore, you have the option of only bus, or else you need to travel to Bangalore first and then to Cochin. From Chennai you can travel by bus, train or flight. Bus and train takes almost 12 hours to reach Cochin. From Delhi, Ahmadabad or any other destinations to Kerala, you have the option of traveling by train or flight only. For those who are coming from other countries, you have the option to come directly by flight. You can also get off at one of the metro city air terminals and come to Kerala by train. You need to do all the booking beforehand to avoid any confusion. Once onward journey is booked, you may book return ticket. While booking return ticket, please be careful about timings and destinations. I suggest you book this only after finalizing the package, or at least the itinerary. Now we need to finalize on the destinations to be covered. This is where we need to balance between the number of days you have and your interests. A small description about the major tourist spots in Kerala should help you with this. Cochin – In most cases this is the place you land in Kerala. If you are interested in Cochin sightseeing, you can either do this on the first day – upon arrival at Cochin, or if you have enough time on last day, go for it. Munnar – This is the best tourist spot in Kerala. You’d love to see it 100 times. Munnar is a hill station. Thekkady – Thekkady has the Periyar wild life Sanctuary that you can visit when you go for boating at Thekkady. Thekkady has a lot of adventurous activities and eco tourism activities too. Alleppey/Kumarakom – This is the place where you can go for a houseboat cruise. Alleppey also has a lot of resorts to relax, and there is also a beautiful beach. Kanyakumari – Though this is in Tamil Nadu, if you are travelling up to Trivandrum (and if time permits), it is advisable to have a visit. Athirapilly-Vazhachal – Biggest water falls in Kerala. Cherai – Another beach near Cochin. Guruvayoor – Pilgrim place, the famous Krishna temple. There is an elephant sanctuary at this place with more than 65 elephants. Northern part of Kerala has Wayanad to visit. Wayanad is approximately 300km towards north from Cochin. From the above listed major tourist destinations, make a list of places you wish to cover in Kerala. I shall be writing about all these places in detail below with travel time required for each. After reading this post, you would be in a position to finalize the places to visit depending on your leave from office. Once places of visit and number of nights in each destination are finalized, the itinerary can be prepared with ease. Most of the time, this is the place where you land in Kerala. If you have enough days in Kerala, a full day visit of Cochin is worth doing. Cochin has lot of sightseeing places including Marine drive, Chinese fishing nets, Fort Cochin where you can visit Dutch palace, Jew Synagogue etc. For more info read our blog post : 9 Must See Places in Cochin. If you are short of time, I suggest you to move directly to your first destination from Cochin. This can be Munnar which is 4 to 5 hours drive from Cochin, Thekkady which is 5hrs drive, Alleppey 2hrs, Guruvayoor 2hrs and Athirapilly-Vazhachal, a short 2 hours drive. If you want Kovalam as your first destination, it is better to arrive at Trivandrum instead of having a hectic travel of 6 to 7 hours on the same day of arrival. For every travel you need to consider halting time in between for sightseeing, food etc. If your first destination is Alleppey Houseboat, make sure you reach Cochin at least by 9AM so that you can check in to Houseboat at 12Noon. If your arrival is after 10AM at Cochin, then don’t plan Alleppey Houseboat cruise on the same day, as check in to houseboat is at 12Noon and check out is at 9AM next day. If you are reaching Cochin after 3PM, then don’t plan any travel on that day. In this case, best option is to stay in a hotel near to airport or railway station depending how you come to Cochin. Most hotels near the airport offer free pick up from the airport, thus helping you save money on a vehicle for that day. Do inform your travel agent about your mode of arrival, so they can book the hotel accordingly. Cochin airport is almost 20km from Cochin city/railway station. If you are planning to stay at Cochin on arrival day, normally check in time of all hotels is 12 Noon and if you are reaching early morning, do inform this in advance to your travel agent. In this case you can request for early check in. Most of the hotels allow this subject to room availability and do note that breakfast will not be complimentary for this day. If you are planning to travel to other destinations on the same day, I suggest you to start directly to that destination, instead of having a half day sightseeing of Cochin and then traveling to next destination. If you are arriving at Cochin by train or bus or after a long flight travel, try to refresh yourself before driving from Cochin to your next destination. This helps you to enjoy the trip right from beginning and you can do all your sightseeing on the way. Coordinating your first destination in accordance with your arrival time is very important. Munnar, a hill station, is one of the most beautiful places in Kerala. There are lots of Tea plantations and more than a dozen places to see near Munnar. This is a must see place if you are visiting Kerala. Climate will be mostly cold throughout the year. Munnar is 140km from Cochin. For more info read our blog post : 13 must visit places in Munnar! If you are traveling to Munnar, you should try to stay there at least for 2 nights. For your onward journey, travel time listed from Cochin is 4 to 5hrs, but in practical you will reach Munnar in about 7 to 8 hrs only. There are lots of sightseeing spots in between. You can enjoy waterfalls and rolling hillside with tea gardens on the way. During this travel enjoy as much as you can on the day and don’t be in a rush to reach Munnar. You can even visit spice plantations on the way. After enjoying the scenery, you will be reaching Munnar by evening only. If you feel like, you can spend some time in the market. If your hotel is away from Munnar town, try to have food and finish all activities in town and move to hotel. Coming back from hotel to town in night is not a good idea as there can be fog in the road and driving is not safe. Second day should be dedicated for sightseeing in and around Munnar. If you want to cover almost all places, try to start sightseeing by 8.30. Or you can choose places to visit according to your interest and mood. Purchase spices, tea etc. while you go for shopping. Do visit Eravikulam National Park to see the endangered mountain goat of South India, the Nilgiri Tahr. Selecting the resort/hotel is most important while you are in Munnar. Every hotel in Munnar is not in town, you will find hotels within a radius of approximately 30km from Munnar. See Hotels in Munnar .Most of the good resorts are away from city. . If you are a person who wishes to stay in city, do make sure the hotel you select is in city itself. If you want to be away from all traffic and love to have a relaxed mood select a resort/hotel accordingly. While approaching any tour operator, if you have a specific choice, make sure you communicate this clearly. It is always better to do a Google search on the hotel selected. Nobody can tell you whether you will like a hotel or not. As this is very subjective and depends upon your interests and background. Personally I like to stay away from city when I am on holiday and used to prefer hotels outside the city. But for business trips, I prefer city hotels. A normal package can be prepared with 2 night stay at Munnar. If you wish to stay at Munnar for 3 nights, you will get a lot of time to relax. A package with one night in Munnar is not that advisable. I have seen many times people taking package with one night at Munnar and one night at Alleppey when they have only 3 days to spend. This is not a good idea as they will not be able to cover neither Munnar nor Alleppey. From Munnar, you can travel to next destinations like Thekkady, Alleppey, or Cochin. Moving to Kovalam directly from Munnar is not a good idea as travelling time would be minimum 10hrs. If you are moving to Cochin to catch return flight/train do make sure you have minimum 6hrs in between, as you may even stop for food during this travel. So do your time planning accordingly. Here is an easy to follow map with the major tourist spots in Munnar. This map will help you in planning your itinerary during your visit to Munnar. The famous Periyar wild life sanctuary is in Thekkady. Thekkady is sometimes referred to as Kumily or Periyar. Thekkady is the best place to visit if you are interested in adventure and eco-tourism activities. If you are not interested in such activities, you have only Periyar wild life sanctuary to see. To watch wild life closely, you need to go for boating through the Periyar River. Wild animals, forest areas of Periyar sanctuary and Mullapperiyar dam from long view can only be seen during this boating. Vehicles are not allowed inside the sanctuary for sightseeing. Boating in Thekkady has fixed timings and the guest need to be personally in the queue to get tickets. You need to give your personal details as well as show ID card while taking this ticket. Depending on season, the rush for boating varies. In peak seasons, there might be heavy rush, so try to be in queue at least 3 to 4 hrs before the departure time. Thekkady has lot of activities/shows running in the evening. If interested, you can watch Kalarippayattu (martial arts of Kerala), Kathakali, Magic show, musical fountain, tribal dance etc. You can also go for Ayurveda massage, Elephant ride, Elephant bath, Elephant shower, Spice plantation tour etc. You can plan for boating through Periyar River as well above activities if you have one night stay at Thekkady. Unless you are interested in adventurous activities, don’t stay for more than 2 nights there. If you are opting for two night’s stay, you can relax on the second day enjoying the wilderness of Thekkady.. If you are an adventurous person, this is the place for you. Plan for 2 or 3 nights at Thekkady and you get to do all sorts of adventure activities here. You can go for Gavi tour which includes full day Jeep safari, trekking etc., bamboo rafting, eco-tourism, nature walk, night patrolling etc. Go through the details for these activities and fix the number of days you want to stay at Thekkady. From Thekkady you can move to Alleppey, Munnar, Cochin, Madurai (Tamil Nadu), Kodaikkanal (Tamil Nadu). Again Kovalam is not a good idea as there will be lot of traveling. Very recently we have found a website where you can do online booking for boating at Periyar. Though we have not tried this, one of our guest did it themselves. Thought of sharing that website here. Online booking for Periyar boating can be done on www.periyarfoundation.org. The rates are Rs 248 for adult & Rs 75 for student. Alleppey is famous for Kerala style houseboats. Alleppey has a good beach also. A houseboat cruise is a different experience and should not miss this if you have enough holidays with you. Houseboats give a different feel than staying in a hotel. These floating villas have dining hall, rooms with bath rooms and kitchens. Number of rooms varies from one to nine as of now. Houseboat cruise can be of two types; you can either opt for a 21hrs overnight cruise or can take morning cruise for 5 to 6 hrs. If you are opting for morning cruise, you have to check-in at 10AM and check-out will be at 4 or 5 PM depending on the cruise provider you opt. In this case, you will be greeted with welcome drink (lime juice or tender coconut) and will serve lunch prepared in boat and evening snacks. Boat will cruise through the inland canals, backwaters and lakes. And you can also watch the long stretch of paddy fields at Alleppey (Kuttanad). This cruise, I am sure, will be one of the most memorable experiences of your lifetime. Boat will halt during lunch timings and food is prepared in the boat itself. The boat will have a Captain (driver), Cook and sometimes a helper too depending on the size of boat. These boats are engine driven. For overnight stay houseboat cruise (21hrs), you need to check-in to your houseboat at 12 Noon and check-out will be at 9 AM next day. The boat will take you for a cruise at 12 Noon and will be going around till lunch time. The boat will halt for lunch and after lunch it cruises till 5.30 to 6PM and then anchors till next day morning. You will be cruising again next day for at least an hour before check out. For this kind of cruise, you will be getting welcome drink, lunch, evening snacks, tea, dinner and breakfast for the next day morning. Food is prepared in the boat itself and all boats will have their fixed menu. They take your food preference before you reach Alleppey and raw materials will be stored in boat before it leaves the shore. If you are a non-vegetarian, you will be getting rice, vegetable (2types), fish fry, curd, pickles, pappad, Sambar for lunch and chicken, chappathy, rice, vegetable curry, dal for dinner. If you are a vegetarian, the menu is similar with some changes. It will be Payasam instead of fish fry for lunch and one more variety of veg curry instead of chicken for dinner. For breakfast, it will be idly-sambar, omelet and bread butter jam. It’s always advisable to inform them in advance if you have any specific preference as once you start the journey getting raw materials is not easy. If you have children with you and want more milk or such food, don’t forget to inform that in advance. During the cruise, you can purchase prawns, extra fish on your own (if you feel like). The crew will cook and serve that for you. If you are opting for A/C Houseboat, unless specifically mentioned A/C operates from 9 PM to 6 AM only. If you require full time A/C or need extra hours, then inform the houseboat operator in advance. You will be charged extra unless your package is with full time A/C houseboat. If you want extra A/C time, they need to carry extra fuel with them and unless you tell in advance, this will be difficult. While on board, do close the windows and doors of your room in the evening. As it is in water and flies may enter in the evening. Houseboats are normally parked in a safe place where the owner of houseboat has easy access or is near to his house. Houseboats are of different categories and rooms may not be as big as your hotel room. The biggest disadvantage of houseboat is that if there is some issue with A/C or TV in the night, it may not be able to get it repaired till next day. To get an electrician late night to that halting place may not be possible. But such things happen very rarely. Depending on your interest, either go for 21hrs cruise or take a morning cruise and then stay in a resort at Alleppey or Kumarakom. Alleppey is famous for Houseboats, backwater resorts and beach whereas Kumarakom is for Houseboats and backwater resorts. Both are just 30km apart. Both places have descent resorts as well as houseboats. Depending on the option selected, you may move to that place. You can plan for a resort stay either after a Houseboat morning cruise or for the next night after overnight cruise. If you have enough days, I always suggest taking one night stay in a resort after your Houseboat cruise. In most cases, you will be reaching Alleppey or Kumarakom after 3 night stay at Munnar, Thekkady or any other places and a resort stay here will definitely relax you. You can either move back to Cochin to catch your flight back or can travel ahead to Kovalam after this relaxing stay. While selecting a resort at Kumarakom or Alleppey, make sure you do enough research. Make sure the resort is as per your liking because there are few things to do at when you are in a Kumarakom/Alleppey resort. You can visit Alleppey beach in the evening and can relax. Some backwater resorts do provide additional facilities like pedal boating, swimming pool and Ayurvedic spa. And there are resorts providing countryside boating, fishing and cooking class. This resort can be either at Alleppey, Kumarakom and I know some good backwater resorts on the way to Cochin also. Once you are done with Alleppey and Kumarakom , you have several options. It depends upon your travel plan. You can either move towards Cochin and return back home on the same evening or stay at Cochin and travel to Guruvayoor or Athirapilly-Vazhachal on the next day. Or you can move to south from Alleppey to visit Kovalam, Trivandrum, Varkala and Kanyakumari. You also have the option of going to Thekkady or Munnar from here if you started the tour from Trivandrum. Alleppey lies almost midway between Trivandrum from Cochin. Varkala lies in between Alleppey and Trivandrum and has a good beach. There are several beach resorts if you want to stay here. Opt for this place, only if you have extra days or skip this place. Trivandrum is the capital city of Kerala. At Trivandrum, you can visit the famous Sree Padmanabhaswamy temple, Museums, art gallery, Zoo etc. If you have plans to visit the temple, make sure you have the required dress to get inside. Pants or jeans are not allowed for both ladies and gents. The temple can be visited between 5 to 11 in the morning or 3 to 6 in the evening. Visit other places as per your interest and time availability. While at Trivandrum, it’s advisable to stay at Kovalam which is famous for its beach. If you are really in a tight schedule, one night stay is sufficient but we recommend two night stay to fully enjoy this place. When you have two nights at Kovalam, you can visit Trivandrum one day and next day you can visit Kovalam beaches. Select resort as per your interest at Kovalam. There are some luxury resorts at Poovar also. Poovar is a place just 14km from Kovalam and is famous for its estuary, where backwater and sea meet! To fully unwind you can extend your stay for one more night, either at Kovalam or at Poovar. If Kovalam is your last destination, try to book return ticket from Trivandrum which helps you to spend enough time at this place and to avoid long journey of 6 to 7 hrs to Cochin. If your return ticket is from Cochin, try to leave Kovalam at least 8 hrs in advance to be on the safer side. And if the return ticket is for morning flight/train from Cochin, make sure you stay at Cochin instead of rushing from Kovalam on the last day. From Kovalam, you can do day-visit to Kanyakumari. You can spend one night at Kanyakumari, if you have time. Kanyakumari is 90km from Trivandrum and is almost 2hrs drive. There is Kerala-Tamil Nadu check post in between. If your tour is starting from Trivandrum, you have the choices of moving to Kanyakumari, Varkala, Alleppey, Cochin from here. Though Kanyakumari is not in Kerala, if you are travelling up to Trivandrum it is recommended to visit this place. Try to have one night stay at Kanyakumari so that you can see the sunset as well as the sunrise. Make sure you reach Kanyakumari before 4PM to see the sunset. If you are on a tight schedule, a day trip to Kanyakumari from Trivandrum is also recommended. The famous Sree Krishna temple is at Guruvayoor. Guruvayoor is 90 kilometers, a 2 hour drive from Cochin towards North West. If you are planning to visit Guruvayoor, it is recommended to spend one night there. Though it is only a 2hrs drive from Cochin, you can expect a long queue and will have to wait for about 2 to 4 hrs to enter temple. If you are staying overnight, you can visit the temple in the evening when the crowd is less. At around 7PM, there are lots of rituals happening there. When I go, I visit the temple at 6PM, have darshan and stay inside the temple till 8PM and come back to hotel. Then I wake up at 2.30AM and visit the temple again early morning at 3.30AM and come back to hotel. During this time, rush will be less and one can go inside quickly. There is an elephant Sanctuary near to temple where you can see more than 60 elephants and is a must see place if you are visiting Guruvayoor temple. This is the biggest waterfalls in Kerala and is approximately 70km from Cochin. If you have enough holidays, you may consider visiting this place. During Athirapilly visit, either you can stay at Athirapilly itself or can come back and stay at Cochin. There are few good resorts at Athirappily –Vazhachal region. Cherai is ideal for a beach visit and is only 30km from Cochin. Either you can have overnight stay here or visit if you have enough time. Wayanad is approximately 300km from Cochin towards north. If this is your first destination, try to book ticket till Calicut. A 3 night stay is advisable as all sightseeing places in Wayanad are not close to each other. If your next destination is towards south, a night stay at Cochin is required as the drive from Wayanad to Cochin itself takes 7 to 8 hrs. If Wayanad is your last destination, you can book return ticket from Calicut instead of driving back to Cochin. Hope with the above details, you will be now in a position to chart your travel itinerary with the destinations chosen and number of nights to be spent at each location decided. Some suggested route plans are mentioned below. Depending on your interest, you may decide on the number of days to be spent at each destination. You may skip any place in between also. As km is also mentioned, this will help you to get the routing done easily for your holidays. Kerala has a typical tropical climate around the year. December and January are relatively colder months, and the weather starts warming up from February. April – June are the summer months where it can be quite hot and humid. The South West monsoon season from June – September sees a lot of torrential rainfall. Following that, there is the North East Monsoon that runs from October to December. It’s best to plan your trip based on the weather conditions as well. Hillstations remain cool year round, and you can expect a higher tourist population during the summer months. Kerala is quite enchanting during the monsoon season, and you can enjoy the weather if you come prepared with appropriate rain gear. Do select vehicle as per the number of people travelling and the luggage you carry. Indica is suggested only if number of persons traveling is three or less than that. When 4 people are travelling, there will be enough luggage and Indica is a vehicle which does not have boot space. better luxury go for Indigo instead of Indica. If there are 4 to 7 persons, then choose Tavera and for more luxury Innova can be selected. your vehicle will find it difficult in pulling through hills. There should be space to keep your luggage also while selecting the vehicle. While travelling try to carry minimum luggage. Also try to take minimum cash with you and fewer ornaments. You will find lot of ATM’s in Kerala. Do carry ID card of every person who travels with you. ID card is required at the time of check-in at hotels. I hope this article helps you in planning your Kerala trip smoothly and to decide the itinerary. You may contact me at director@paradise-kerala.com for any clarifications required. I would be the happiest person in this world to clarify you. I am reachable on 9947876214 any time. If you find me wrong anywhere in the article, I am open for discussion and will be updating the same. Thank you very much and wish you a great Kerala experience. This is really very good information for someone who is not aware of Kerala or someone who cannot decide on what/how to plan to visit in Kerala. It is really useful. Lot of practical information about various places in Kerala. After reading this blog, I am able to firm up my vacation plan in Kerala. Thank you Sreedhar for dropping by. We are glad to be of help..! It’s a wonderful article and has helped many people to plan Kerala trip. I plan to visit Kerela with my wife and 1 year kid in 3rd and 4th week of October 2017. My plan includes Cochin – Munnar – Thekkady- Alleppey – Kovalam/Trivandrum 9 days trip. I want to know whether self drive would be a good option or should I hire a local vehicle with a driver? I am a confident driver and believe I can manage it. Who provides such services of self drives where in I can.pick up the vehicle from Kochi airport and drop back at Trivandrum airport on last day of the trip? Thank you Louis for the heads up. Corrected the link. Hope you enjoyed this Kerala tour planning guide. Links is really help full with all the details mentioned. No need of go ogle for Kerala destination. route map is clear can help our friends too if they plan. Your service are excellent, i have availed your service 3 times in the past. We enjoyed kerala trip very well with the help of Paradise Holidays.. Their support is awsome…and Its a memorable trip.. Thanks to Riteesh and Pardise Holidays…. Thank you Satish for your kind words. Well, that is our mission….to make your Kerala trip most memorable! This is very informative work. It looks very much Practical oriented facts which will be very useful to anybody who like to make a trip to Kerala. Thank you. Glad to be of help. Hope you missed few other beautiful places in kerala. Thank you Nicky for dropping by. We will sure check out your blog.. Keep in touch. Very informative and thank you very much Rateesh. providing the information. We with another couple been on holidays organised by Paradise from 12 to 18 March 2013.Thanks to Jai-Shree & Rathneesh for maling our holidays enjoyble. Rathneesh – your write up is excellent . Thank you for your kind words. Your feedback is our motivation. Mr Nath, thanks for putting this information together. I am travelling to Kerala in 6 weeks time from today & thru your company, excited on what to expect there & waiting to be there. Thanks!! sir, It’s excellent information provided by you. Hope it will surely help for an memorable journey at Kerala tour. All information are very useful to the visitors. Lot of practical information about various places in Kerala given by you. Hope my kerla tour will be memorable. Excellent article! After reading this article we are leaving whole of our trip planning on u. We are worried about mansoon and weather condition. Details/ Probablity of weather condition in kerla during each month of a year could be of great help. U can add it to ur beautiful article. Thank you Mr.Nadim. Glad you found this article useful. We will definitely work on adding details regarding weather conditions in Kerala very soon. very useful information. This will help to plan my trip. Good post . Thank you for sharing this Valuable information with us . LOOKING FORWARD FOR A MEMORABLE TRIP. WHAT IS THE WEATHER LIKE IN MAY -JUN ? Thank you very much for your blog with lot of information on Kerala Tour and how to plan …..Excellent.. Thank you so much. Really appreciate your encouraging words. This is really awesome. I can see what is going to happen. Looking forward to meet you. planning to Munnar Thekkady Kumarakom & Alleppy we are couple i want to know july is the best season or not. really useful information and tips..
thanx a lot for the info..
but after reading ur blog i decided to go and enjoy 1 by 1 rather than trying to cover all in a rush..
hope can enjoy my Munnar honeymoon trip in sep-13.. Thank you and wishing you happy holidays in Kerala. Oh…Thank you Ms.Manika. We hope you will have a wonderful time in Kerala. You can contact our travel planning team to get up-to-date information. Please call this number – +91 963378 8866. Thanks a lot for giving valuable information. I and my friends are really grateful to you for giving such detailed information on everything about Kerala visits. Simply MIND BLOWING post on Kerala,cant expect more while planning a trip, Awsome job done, very informative !!!!! Cheers!! Planing kerala trip in mid Nov. Hope the trip would be simple n enjoyable after going through all the info. provided by u…..
Dear Dr.Deepanjali singh Beniwal. If you are planning a Kerala trip then you are at the right place and in right contact. Myself and my wife had planned our trip during Oct.2012 through Paradise Holidays. Believe ma it was one of the best organized tour I ever had. The vehical and the driver provided by the agency were excelent. The stay, food and sight seeing arrangements were also very good. Had a real nice and memorable trip. Contact us at info@paradise-kerala.com or Phone: +919567887088 to get the details of visiting places and packages. Superb and excellent information for the people who want to travel Kerala. Thanks so much for the information. we are hoping that we will have good time during our trip. how much days we required for it? we are three couples with child (adult-6, child-5) and have 10-12 days, pl. send detail planning..
Hi I am Amita,Awesome! Its in fact amazing Blog for A visit to the incredible kerala is a memorable lifetime experience.kerala are definitely the most beautiful culture in India and its Onam festival are Most Famous.That such a small terrain can hold diverse geographical features and cultures is a wonder in itself there are still some conflicts on kerala best time to visit, read more on kerala packages for detailed information. Hello Ratheesh, you have done a good job; I have gone through your entire blog. It has excellent info about Kerala places. It is inspiring to visit Kerala. And also we got nice feedback about your company Paradise Holidays. We are travelling to Kerala in this month thru your company; we are looking forward to seeing Kerala!! Thank you Mr Brahmam. We are very happy to be of help. We look forward to meeting you soon! It is indeed our pleasure and privilege to help you have an awesome vacation in Kerala. I will forward your email ID to our travel expert team and they will get back to you. Or you can call us directly to +91 963378 8866. Great article Ratheesh. Very informative and attention to details given to the things that may come handy and not thought when traveling unless required. Thanks for putting this. Thank you Mr Pranav for your encouraging words. Your article was really nice. Our is a group of around 10/12 people who want to come to Kerala in Dec. vacations. Can you please plan our tour with hotels and a transport vehicle. We will book our own rail tickets from Pune.Our plan is as follows.If you can suggest some good changes it is welcome. Our budget per head will be 10/11 thousand per head. Day 3-Move to Munnar- 2 nights stay. Day5- Thekkady-sight seeing- 1 night stay. Thank you My Hemant. I will forward your enquiry to our travel team who would be very happy to help you plan your Kerala trip. This is a great article. I have planned a Kerala trip this week starting from 15th Aug. Is it safe (and enjoyable) to visit places like Cochin, Munnar, Thakkedy, Alleppey given that this year it’s raining in abundant? This is excellent information; very helpful. I have already booked a tour from your company in September; hoping to have a good time. The article is very useful. I am planning to visit Kerla in November 13. tried to search for the information about the tourist destination. My search ends here. No need to go elsewhere. I am happy that all the important information, tips for tourists are available here. Now I am in a position to plan each minute detail and expecting that my tour will be memorable. Great article. Initial fears to plan are over. Am determined to visit Kerala in Dec for sure. Thank you Zia. Glad you found this article inspiring! Can u help me plan my trip for 14 days at Kerala . We are 2 + 2 kids ( 9 and 16). Shall appreciate if you could send me the details on my email id . Oh..we love to help you Zia. I will forward this info to our travel team . They will take good care of you. we are 3 couples and have only 7 days with us for touring. Actually i want to known that 7 days are enough for traveling in Kerala. please revert me asap in my email id. Thank you for visiting our blog. We will revert back asap with the details. An excellent overview on Kerala travel. Congrats! Firstly thanks for this useful blog.I am from kolkata. i will be there next year in January. i want to cover Trivandrum/Kovalam – – Kanyakumari – – Varkala – – Alleppey -Thekkady – – Munnar – – Cochin. i will arrive by flight to Trivandrum first. i have 2 questions. 1) how many days does it take to cover all places? becoz i have 8 days in hand to cover all cities. and i will be returned from Ernakulam by train to kolkata. 2 ) where to hire a cab in reasonable price? i will be coming with my husband only. This is an awesome information and brilliantly explained. Hi, I am planning to travel to Kerala towards the last week of December. I plan to travel one way by train so that my family can enjoy Konkan journey as well. Can you please help us which train and on which sector (Mumbai – Cochin or Cochin – Mumbai) should I take so that i get the maximum scenic view during the day time? Only constraints that I have is the train should be starting or leaving during the weekends only else Duronto from Cochin to Mumbai is good? i wanted to know that weather of Kerala (Munnar) will be good for 7 months baby in the month of December. Awaiting for your reply. Thank you Raj. It will be little cold during December in Munnar and might come down to 10°C. If your baby is used to cold climate, it will be fine. I put a query on your portal and was suppose to be called by your executive but it hasn’t happened. I am so sorry for the delay Alpesh. Somehow it might have got missed. Extremely sorry for the inconvenience We will make sure that you will be contacted very soon by our travel team. Thank you for taking time to contact us again! What is ideal time of season to have a Kerala trip ? Can you offer personal (not in group) package tour from Mumbai ? If so, send me detail of package with Air fare and rail fare . Dear Mr Alpesh, I have sent your request to our travel team. They will get back to you very soon. Thank you. Hello Sir, Good evening !!!!!!!! Today Morning we reached at our native place with lot of memories with paradise holidays.Last five days,We really enjoying Kerala trip with Paradise holidays.its very fantastic experiance for us.You are having very co-operative team.Our driver uncle Mr.Mohan taking lot of care of us.every stay at kerala was very fantastic experiance.every person was taking care of our needs and help us to being our trip special.Thanks for being our holiday special. Thank you so much. We are indeed happy to be able to give you our best! Visiting and spending days in Kerala is a very amazing and interesting experience. We had been planning for spending some time at Kerala since last few years. Finally, we had reached, enjoyed and got much information about Kerala tradition, places and more amazing scenic view. All this has happened wonderfully with kind of service and help from Paradise Holidays tourism. We are very thankful to the Tourism Organization for being such a professional in providing amazing service in the beautiful place like Kerala. We are also thankful to the Car Driver Mr. Manikuttan, who have shared all the informations and safely and timely made us to visit all the places during our trip. We will be eagerly waiting for more tours in Kerala with help & service from you people. Thank you Mr.Sandeep for your awesome testimonial. We are privileged to serve you here. I am looking for honeymoon package in Feb 2014, could you please help me for the same for 6 N & 7 Days. I will be in cochin on 16th Feb. Thank you Mr.Deepesh for your interest. I will pass on your info to our travel team and they will get back to you asap! The blog look very interesting and informative to a lay man to plan his trip. Hope I should be able to finalize a trip for Feb’14. Thank you Mr. Krishnan. Glad to be of help! Hi, My parents had travelled with Paradise Holidays in Nov-11 and it was a memorable trip for them. I have booked the trip in Jan with paradise holidays….Hope this will be the memorable trip for me too…..and the information and response so far from your end is very good….. Looking forward to meet you here Mr.Nirav. We do try our best to make it as memorable as possible for our esteemed guests! Hi,Firstly thanks for this very useful blog. Im planning to make my trip by Mar 15th for honeymoon trip and I plan to cover both Munnar & Alleppey. could you please help me for the same for 3 N & 4 Days. Please assist. Thanks. Extremely helpful bolg….thanks for sharing your insight..Please advice me a budget resort in munnea and Alleppey for nigh. I am looking for honeymoon package on 16th Jan 2014, could you please help me for the same for 4 N & 5 Days. Excellent blog and very practical tips. Helps me plan my Kerala trip very well. I wanted to visit Kochi, but I have a very tight schedule, I think its only one full day. Could you please tell me how to manage time there. I will be coming on 11 jan 2014 2:00 AM and return ticket is of 12 jan 2014 8: 00 PM. Hi.. How better is Munnar from Ooty (during Feb)….. Have booked for Cochin-Athirapilly-Allepey(through Paradise holiday) , and Ooty thru friends.. Would want to know abt Munnar preference with Ooty… So that i might change options from Oooty to Munnar…. I am Planning Honneymoon tour from 5th MAY 2014 for 8 to 10 days in kerala. is it a good time to come in Kerala for Honneymoon in the month of May. Kindly give me your Pune office contact details. Thank you for your Interest. I will pass the information to our team today! Thank you Mr.Sudesh for your interest. Our travel team will get back to you with the details! Thank u sir for ur valuable feedback.We are going to plan our holiday during our puja vacation this year.This article will help us immensly,i think…. After googling lot about kerala tourism, I find this blog as “The Best” as it gives very clear and insightful information. In addition, Along with the concluding “Get the Route Plan Done” column, if the approximate price for the packages given, it would have been an Pucka Planning material. Anyways, Great work, hope this ll help me for our tour ahead. Impressive guidance.. thx. for the same.. i am dreaming to drive down directly from Bangalore to visit all these places ? please guide me how safe will it be ? Thank you Mr. Alok. Driving down is ok but it can become little tiring. And it depends on the number of days you will be spending in Kerala. This blog is too good and informative to me and my family are planning to travel on 23 March 2014. It is useful and shall plan my itinarary accordingly. I just want to say I’m all new to blogging and site-building and certainly liked your page. Probably I’m planning to bookmark your site . You certainly come with very good well written articles. Thanks a lot. This is very useful info for me as I am planning holidays in Kerala. I would like to travel kerala for honeymoon (4days), like to cover cochin, munnar, alleppy (house boat), kovalam, kumarakom. Thank you Subba for contacting us. We look forward to help you plan a very relaxing honeymoon trip in Kerala. Our travel team will get back to you! Dear sir…me along with my friend is planning trip to Kerala in second weak of June. Need advise on stay ..with budgeted hotels .. and on tour guide too. Can I have ur contact no to get in touch with yourself. Thank u. Thank you for your interest Ms.Khushbu. I have forwarded your query to our travel team. They will get back to you.! This information about kerala is very helpful. I would like to travel kerala for 7days, like to cover cochin, munnar, Thekady, alleppy (house boat), kovalam, kumarakom. Please plan for me a more enjoyable vacation with budget price. Thank you Mr.Nilesh. We will get in touch with you asap! An excellent information compiled and dished out for people like me who want to know more and explore Kerala. I intend visiting the place with my family in the month of June specially for Munnar & Kovalam beaches. Kindly let me know whether, its the right time, in the light of Monsoon. Heard monsoons are quite harsh and one is stayed put in the Hotels during the season. Thank you Mr.Kanwaljit Singh for your kind words. Happy to be of help. June and July are our Monsoon months. They are exotic in their own way…but can be little harsh on some days. I love monsoon and it is the best time to get your body and mind refreshed. And traditionally, these are the months suggested by Ayurvedic Vaidyas (doctors) for best results in their treatments!! Thank you Mr. Bhandari. Our travel team will get back to you! Rajesh, We would love having you plan your Kerala trip with us. we will try our best to make it as memorable as possible. Do get it touch with us! Thanks for sharing your thoughts on how to plan Kerala tour. This is the most informative and to-the-point information regarding Kerala Travel I have seen on internet after going through all the tripadvisor.com’s of the world. It had been a great experience with Paradise Holidays since my first trip in 2009 and since then I have done 2 trips myself and 1 for a friend. Happy to see Paradise Holidays growing like a successful start-up… Initiating operations within family, taking it to different cities, launching new Logo (like it a lot! ), engagement in CSR and most important – creating confidence! All the very best for future!!! Thank you very much sir, Guests like you made us. We are couple + 2 kids and want to plan 8 days tour. Very useful and informative blog. It is of great help to people like me who are planning to visit kerala first time. Thanks for the help. Very nice information. I would like to know whether is it possible to cover Kerala plus Karnataka for honeymoon. We are planning for 10 days trip. Please help me with your valuable feedback. Such a wonderful post. Rarely, we could see such detailed information like Route Planning, A/C in House Boat etc.. Such detailed information will help people to even plan the trip by themselves. Hats off !!! Really great, after I read above guidance I am very happy to go Kerala without any hesitation. This is very good information. Such a useful details. After read this I will planning for 7-8 days in Kerala. I am planning for my Honeymoon in the month of Dec 2014. so i need some help to plan it with excellent way. Thank u Mr nath, it is really a very useful information. Infact I am already under finalizing stage my trip to Cochin,Munnar (2N), Alleppey (2), Cochin (2N) thru your organization wef 16/17 Dec14. Fortunately I gone thru your this blog “Kerala tour planning” & find very intensive helpful information. Now it has put us in a dilemma if we a couple being senior Citizen can bear the cold/winter of a hill station i.e. Munnar. We are resident of Chhattisgarh & normally minus temp never occurs even in winter season. Please give a genuine advise. Well, Mr Pramod, I have forwarded your concern to our travel team. They will get back to you! Thank you for visiting our blog! I have gone through your article Plan your Kerala Trip, which is very informative for the tourists. We 4 adults from Gujarat would like to visit Kerala in last week of January 15 for approx.7 days and pick up and drop in will be from Ernakulam. We would like to visit Cochin, Munnar, Tekerry and Alleppy. I request you to send me good ittenarary for the same including cost of transporation, meals and budget hotels. My requirement is same as Mr KN Motwami above. Only different is that iwant to start from delhi and my time is first week of February 15. Kindly quote the prices. Indeed a nice informative blog. This shows ..what & how much difference there …in a tour operator ..when managed by simply educated & science student !!!!! Science student always do thing in systematic way. The writeup shows your deep involvement. It is informative for Kerala per se but it is educative also in a way that people will start thinking this way before planning their next holidays!!! Thank you Dr. Rajesh for your encouraging words!! me n my fiance are planing a january tour to kerala, this blog helped us and v almst planend evrythn… thanks a lot.. looking forward to approach paradise holidays for our arrangements.. I am really impressed by the information you have provided on your Web page and by the comments of the visitors who have enjoyed with your group. I along with my family are visiting kerala on 5th Jan and have planned to see nearby areas also as we are staying for twenty days. I request you to kindly arrange our tour package in such a manner which will be always remembered and without fatigue. We will be 4 persons including me my wife n two kids of age 2 and 5. Really, its great that you have provided all the information. We are planning for a holiday trip to Munnar, Thekkady, Alleppy on 22nd Feb 2015 (4 Adults). Please let me know the itinerary and quote. Pick up and drop point : Eranakulam. Thank you Shyamala for your interest. Sorry for the delay in replying. Our travel team will get back to you ..asap! Thanks for a helpful information.I want to plan a trip to kerala.I am from PUNE.we want to celebrate our anniversary in Jan 2015.dates will be between 14-20 Jan.so plz guide me in making this tour as memorable one.no will be 09970557111. Thank you Tejas for your interest. Our travel team will get back to you! Extremely informative, after reading the blog can say confidently. Thanking you so much for the power packed information. If approximation of the rates were given it would have been more helpful to better plan our trip. Shall be visiting Kerala in the first week of April. (04 Persons including 02 senior citizens) do not intend to run around and no adventure treks. Intend to enjoy peace and calm and some worthwhile places including guruvayoor temple. Think Munnar is best. Do send us the itinerary including rates for 3 star hotels or resorts. Extremely helpful trip advise for me as I am planning a 9 day break in Kerala. oh Zara…so glad this blog helped you in your Kerala tour planning! Keep in touch! Very nice blog.. Very useful.. thank you..
Read your blog with great interest. It is very informative. Thanks. We have already booked Hotels in Munnar, Thakkedy etc. through your Paradise Holidays. Feedback: May be you would like to provide the map of entire Kerala by marking these tourism related places? And yes…we will definitely think about a resource like that! As expected we had wonderful time at Munnar, Thekkady, Kumarkoah and backwater. Thanks again to your blog. Needless to say, when we have to visit Kerala again, we will only book it through Paradise Holidays. All the Hotels that your people had booked was realy great. Also driver Mr. Kumar, such a special person. He is both kind and knowledgeable. Thanks to Ms. Sylvia, who was so patient since the beginning of our interaction until we finalised the programme. Thanks also to your entire team, who have directly or indirectly participated in making our trip a great success. 1. As mentioned earlier, you may think of providing entire kerala map along with the one already mentioned above. 2. You may like to include Fun Adventerous Park along with the site seeing places. It was most exciting experience to be there. I am sure, no young people would like to miss it. 3. We had to wait for more than 45 minutes to make our payment in your office, on the day we arrived at Cochi on 28th February. For most of us time is so important. It would be great if u find some ways to shorten that time. A debt of gratitude is in order for a supportive information.I need to plan a trek to kerala.I am from PUNE.we need to praise our commemoration in June. Please guide me my tour plan. Your tips are awesome thanks for sharing your thoughts on how to plan Kerala tour. I also plan for a Kerala travel trip with my friends. so this blog is very informative and important for me. Have a plan to visit Kerela. DATE OF ARRIVAL -25-10-2015 and will visit Munnar, Thekkady, Kumarkoah and backwater. Need to book with Paradise Holidays as I have heard that it provides the best package. I shall be accompanied with my mother aged 70, my wife aged 38 (both are patients of CMC Vellore) and my daughter aged 11 years. I shall go directly from Vellore (Katpadi Jn) to Ernakulam. Reach on 25th morning at around 6.50A.M. Return journey date will be 29-10-2015 to Howrah(West Bengal). I would request you to give the best option as I shall be taking the people for a change. So keeping that in mind revert at the earliest so that I may plan at my end likewise. This is very informative and explained in easy words. Great effort and your advisers are helpful to assist. Thanks. Excellent information table in just a click. Very informative and help full. Though I’m reading it after I booked my trip it is very helpful to make my trip most memorable. Thanks Ratheesh for your efforts for putting many things together here at one palace. This is really great. It will help lot of first time visitors plan their itinerary. Dear Sir, A very nice blog indeed. I stumbled upon ur website while googling for Kerala vacation. I’m yet to visit Kerala and have submitted my query for quote through your website. Then I received a response email wherein I also received the link of your blog. I can see a sincere passion in your blog to assist the novice person to plan the tour in your beautiful state. I’m not sure how my Kerala tour will materialize but having gone through your blog Kudos to you for your endeavors to help people in traveling. God bless! Please can u recommend value added activities at Munnar, Thekkady etc…. I have been to Kerala for honeymoon from 03.12.2015 till 10.12.2015, and its been a soothing and refreshing experience visiting there. thanks to Kishor Jacob for advising us the most worth places of visit. And also our driver Nisar. he was a good accompany talking to. thanks for making our trip memorable. Thank you so much for your kind words. We are so happy to hear that your Kerala trip with us was truly memorable!! As per our expectation we had wonderful time at Munnar, Thekkady, Allepey & Cochin. Needless to say, when we have to visit Kerala again, we will only book it through Paradise Holidays. All the Hotels which were booked were really great . Also driver Mr. ShreeKumar, was both easy person to deal with. Thanks to Ms. Nupur, who was so patient since the beginning of our interaction until we finalised the programme. Thanks also to your entire team, who have directly or indirectly participated in making our trip a great success. 1. Also there was a communication gap in Allepey between Houseboat & driver which was sorted out though we have to wait around 30 min roadside. 2. We had to wait for more than 30 minutes while leaving for Cherai in morning, on 23rd February same day our flight was scheduled later in afternoon so time was of essence for us. It would be great if you find some ways to shorten that time. It’s better if have Complete Package. Though, it’s very informative and helpful to plan the kerala tour. Thanks for it. Our Travel Team will contact you soon. Sure Siva. We are forwarding your enquiry to our travel team and the team will contact you soon. Don’t Worry,our travel team will contact and guide you. CAN I COME BY CAR & I HAVE 5 DAYS TO SPEND IN SUCH PLACES. Hi I want to spend 4 day tour in kerala and arriving on Trivendrum. Please let me know package and what will be cover in Kerala. Nice article. Nicely prepared with full devotion. It will help everybody. Thanks a lot. Continue reading our blog posts and get more information about Kerala. Great Article post. Thanks for sharing important information. Thanks for such amazing information, This will definitely help us planning our first Kerala trip in October. Glad that you liked our article. If you need any more help for planning your trip to Kerala, do reach out to our team. Submit your query at http://paradise-kerala.com/enquiry.html. Thank you very much for your interest in Kerala and I’m glad to hear that you liked our article. Keep reading our blog articles. Detailed Information.. Very nice.! Impressed! I would like to visit kerela if you can provide package details. Thanks. Thank you, our team will get back to you. Hello everbody how is it going. Your blog is so good you have provided step by step guidance for planning a trip to Kerala it helped me a lot. Glad to hear that our blog post helped you efficiently plan your trip to Kerala. We have a 18 month old daughter and wish if you could highlight some Dos and Donts when Kid are on board. Wish to also understand if North Indian Veg foods are easily accessible ? I’m glad to hear that you liked our post. We will soon update the post by considering your point of view. Hello, Nice information sharing in Article it is very useful topic present in the websites. A very beautiful article.Thank you so much.It helped me a lot. Glad to hear that our blog post helped you. very informative and useful post. thanks. Glad to hear that you found the article useful. Continue to read our blog to know more about Kerala.Thank you! Thanks for sharing this wonderful information. I was looking for finest place to visit in Kerala, and no doubt I found it, just because of you. Detail itinerary will help to plan a best trip to Kerala. Thanks again……. first of all, i would thank you for this useful post. Sir, I am planning to visit Kerala in mid-november. Is it advisable? and i m planning to reach cochin (2 nights), munnar (3 nights) and alleppey (2 nights). kindly advise.. Thank you for reaching out. Our travel team will get in touch with you soon or feel free to contact us at info@paradise-kerala.com to get the details of the places to visit and other services. Thank you for reaching out. Our travel team will get in touch with you soon or feel free to contact us at info@paradise-kerala.com to get the details of the tour packages and other services. I am planning to visit Kerala in mid-may. How many days r required for above tour. plz give some planning for that. Thank you for reaching out. Our travel team will get in touch with you soon or feel free to contact us at info@paradise-kerala.com to get the details of the tour packages. Thanks for the valuable guide. Thank you for reaching out, we are really glad to hear that you find the article Valuable. Ratheesh R. Nath, Hi Dear.!! Kerala is the beautiful place in India. And Thank you such much to give best places of Kerala in your article.!! After reading this article, I will plan to go Kerala’s trip. Very useful information, while planning for Kerala. but it would be better if we go through this blog before we make our plan to know the best spots to visit in Kerala. Impressed by the given travel information on tourism and is very useful for a naive too ! Thank you for reaching out. Our travel team will contact you or Please feel free to contact us at info@paradise-kerala.com to get the details. Thanks very much for sharing this information. Very helpful indeed! We are really glad to hear that you find the article informative. Continue to read our blog to find more interesting articles. Thank you for reaching out. Please feel free to contact us at info@paradise-kerala.com Phone: +919567887088 to get the details. Planning to have a seven days trip to Kerala in October last with my wife & daughter.Your information will help us to plan properly. Very good information, keep up the good work. Thanks for sharing. This is a good and informative blog. Well-written and represented with beautiful pictures and have shared so many information about the place. Just wow. This is great. God bless. It’s a wonderful article and has helped many people to plan Kerala trip. I plan to visit Kerela with my wife and 2 daughters in 4th week of October 2017. My plan includes Cochin – Munnar – Thekkady- Alleppey – Kovalam/Trivandrum 5 days trip. I want to know whether I can travel from pune to cochin by flight? Are you manage travel by flight? Want estimate for 4 persons. Thank you for reaching out and we hearty welcome you to experience the mind blowing beauty of Kerala. How is it to plan travel between various points on our own Vs taking a package? Is it easy enough to book cabs/taxis after reaching kerala or booking a package in advance is better? I think booking a package in advance is safest and better thing to do. Cabs and taxis are available with the packages if you go for that. Really glad to hear tha you find the article useful. Its an awesome, appropriate, customized information one seeks for. You have mentioned everything in a proper way. Whatever question I had got cleared by just reading your blog. Could you plan for our 3 days tour in Kerala ? Thank you for reaching out and we hearty welcome you to experience the mind-blowing beauty of Kerala. Thanks a lot for great information. This blog has cleared many of my doubts.. Thanks ..
Really glad to hear that our article helped you clear your doubts. Thank you and keep on reading our blog! I am planning to visit Wayanad on my next vacation with my family. So I was in search of best resort to stay. This blog will really help me on my trip. Glad to hear that you found our article useful. Thank you! If you need any assistance please feel free to contact us at info@paradise-kerala.com. I am planning to do Kerala trip on coming month, Is this right time to visit Kerala on May? Yes, it is. Please feel free to contact us at info@paradise-kerala.com for any enquiries. Very interesting post, we enjoyed each and everything as per written in your post. Thank you for this article because it’s really informative. This is very interesting and helpful blog! Must say, good work guys. Wanted to know, typically how many days are enough for kerala trip? If you want to cover only the major tourist hubs in Kerala, then 5-7 days are mostly suggested. Please feel free to contact us at info@paradise-kerala.com to get more details of the travel packages. Yes, Mid-August is a great time to visit Kerala. Please feel free to contact us at info@paradise-kerala.com to get more details of the travel packages. Very good info. thanks for this. Planning my tour in the month of October in Dushera Holidays. I will connect once again in the month of September after finalizing the dates. Thank you for reaching out. Please feel free to contact us at info@paradise-kerala.com to get more details of the travel packages. First of all thanks for the beautiful article. all the valuable information explained very well. Definitely, this article will use when I planning for a trip to Kerala. Thanks a lot for great information. This is amazing and awesome information! It is really useful information. I really loved reading your blog.Superb and Interesting post .Thanks for sharing this information, because it is very valuable and useful blog for everyone. Really awesome article. Thanks for sharing a part of your expertise through this blog. Reading this blog was a delight. It made me feel as if I was actually seeing it through my own eyes. Very nice blog thnaks for sharing. This is such a elaborate narrative on Kerala. I really loved reading it. Superb and Interesting post .Thanks for sharing this info, because it was very valuable and useful in panning my trip to Kerala. I’m planning to Visit Kerala between 30th Oct 2018 and 5th Nov 2018. Nice piece of information for the people who would like to visit Kerala tourist locations. Keep Going..
Hey, This is very useful and interesting article. Thanks for sharing this information and your experiences. well said Customer should always decide the dates and travel duration so that they can plan their holiday as per requirement. The destination also explained very well. searching for kerala tour plan ….plz help………. Sorry for the late reply. We are forwarding your inquiry to our team and they will call you very soon. any one can plan kerala trip easily after reading this blog. write one blog on veg food in Kerala,it will be more helpful to all vegetarians. Sure Rakesh, we will add one article regarding the Vegetarian Dishes. Thank you for your support.